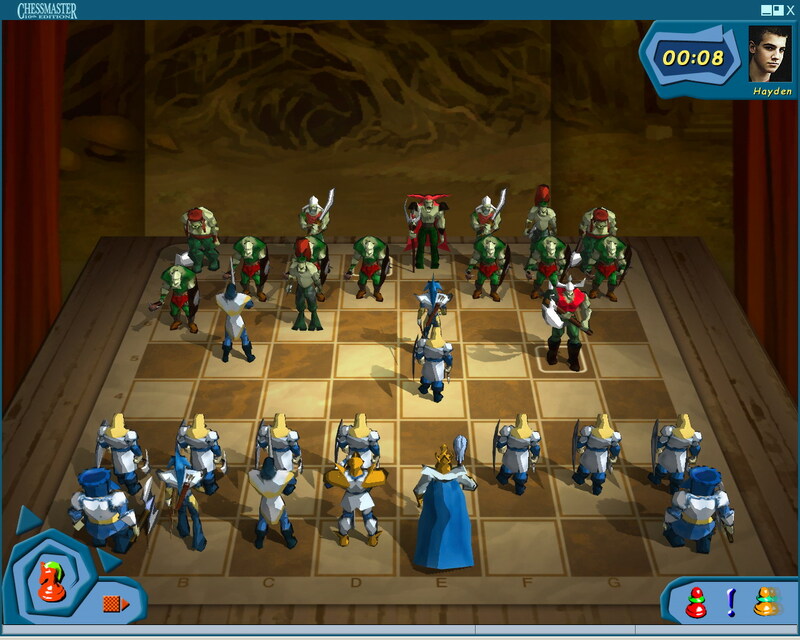 a series of chess programs developed and released by Ubisoft. It is the best-selling chess franchise in history, with more than five million units sold as of 2002  . 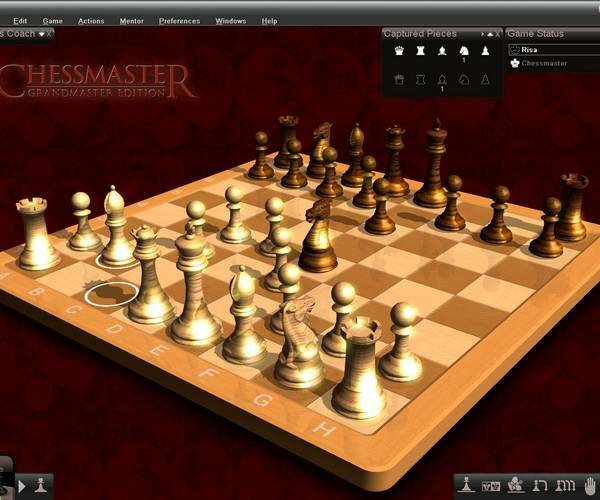 Due to its sophisticated GUI, graphics and animations, adjustable playing strength and countless features, Chessmaster is dedicated to the mass market, and due to the strong engine with configurable "personalities", integrated database support, annotated games, and chess lessons and tutorials, also interesting for advanced users. 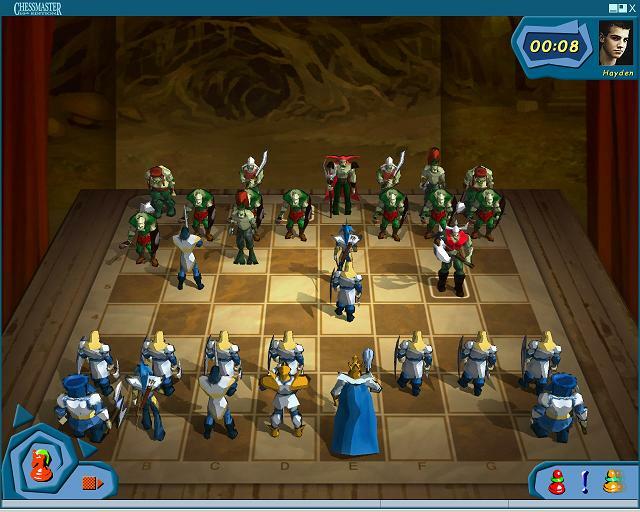 Chessmaster XI, released in 2007, is the most recent version . Dedicated for chess beginners and casual chess fans, Chessmaster Challenge differs from Chessmaster 10th Edition in its simplified interface, and scaled-down tutorials. It’s a non-retail product available for trial and purchase through download only  . 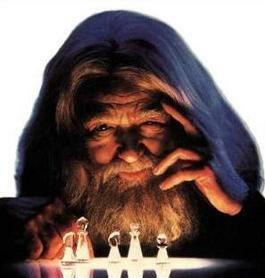 Novag's programmer Dave Kittinger also was the programmer of the three PC software entries under the name "Chessmaster". As they employ a version of the rather dated "Constellation" program they were not expected to be competitive with the dedicated units, except for "Chessmaster 2000 Apple" which employed extensive technology to run at high speed. After a deal with Fidelity Electronics in 1988, Software Toolworks continued the Chessmaster series for Apple computers with a Sargon III based program by Kathe and Dan Spracklen, market as Fidelity Chessmaster 2100 . PC versions of CM 2100 were based on a Kittinger program . Kittinger's first program for personal computers was incorporated into the popular program Chessmaster 2000 developed by Software Toolworks. Kittinger's program was then modified and used in some of the versions of Chessmaster 2100 and Chessmaster 3000. Fernando Villegas recalled Michael E. Duffy and Andrew Iverson working on the engine , which does not necessarily imply they had an own one developed from scratch, but interfacing the Kittinger engine to the GUI. With the release of Chessmaster 4000 Turbo in 1993, The King by Johan de Koning became the CM engine until the present, with annual, biennial and triennial releases for major Windows versions until Chessmaster XI in 2007, incorporating the The King 3.50 with a parallel search able to support multiple processors. The King Version 3.12 has become a WinBoard engine within the ChessMaster 8000 and newer versions  . Some versions were also made available for Mac OS computers, and the Xbox Live Arcade . Chessmaster 9000 and later versions support their own compact 3-5-man Endgame Tablebases designed by Johan de Koning, which can be generated with the Final Endgame Generator (FEG) via the Windows Command Prompt . Tablebase researcher Marc Bourzutschky further created some theoretically important six piece EGTBs in 2003 . Software Toolworks was founded in 1980 by Walt Bilofsky, who was one of three programmers who designed and created the Chessmaster in the mid 80s . In 1994, Software Toolworks, Inc. was merged to Mindscape   in conjunction with the acquirement by Pearson PLC  with Michael E. Duffy  and David Grenewetzki  involved, in 1998 sold to The Learning Company, in the same year bought by Mattel and renamed to Mattel Interactive. In 2000, The Gores Group carves out the re-renamed Learning Company from Mattel, and the Game Studios of The Learning Company was sold to Ubi Soft - all employees were given the opportunity to become employees of their most well-known studio, Red Storm Entertainment  . Chessmaster Challenge Game - Download and Play Free Version! 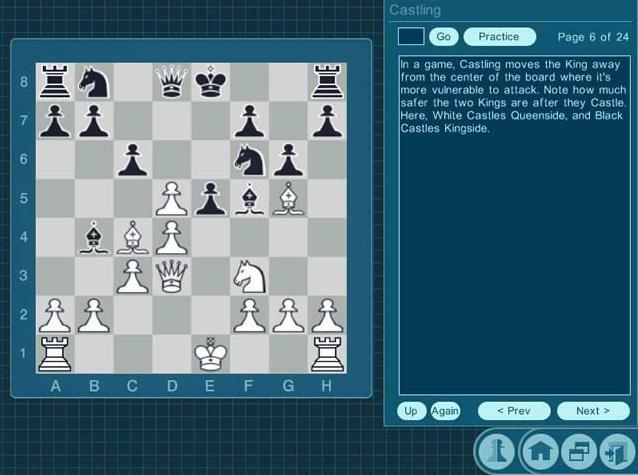 ↑ Chessmaster Challenge Game - Download and Play Free Version!